Michael Berkeley's guest is writer on autism Steve Silberman. His musical choices include music from the 13th century as well as Steve Reich, Lou Harrison, Bill Evans and Oregon. 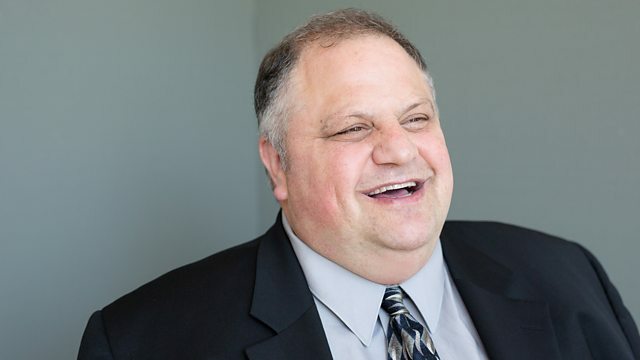 Steve Silberman is an award-winning investigative reporter based in San Francisco; he writes for The New Yorker, Nature, Wired and Time Magazine. He has spent ten years researching the untold history of autism for his book "Neurotribes: The Legacy of Autism and How to Think Smarter About People Who Think Differently". Published last year, it won the biggest British prize for a non-fiction book, the Samuel Johnson prize, as well as many American awards. The book sets out to answer a deceptively simple question: why is so little understood about autism, 70 years after it was first discovered? Since writing it, Silberman has become an ally to thousands of people with autism who haven't had a voice, and for what's become known as "neurodiversity". In Private Passions, Steve Silberman talks to Michael Berkeley about his time listening to people with autism, trying to understand the world from their point of view. He discusses the connection between autism and eccentricity, and between autism and musical ability. He reveals too his own sense of being an outsider, growing up gay, and reminisces about years spent working as an assistant to the poet Allen Ginsberg. Steve Silberman's music choices are fascinating and unconventional, ranging from the 13th century to Steve Reich. He includes music by the contemporary American composer Lou Harrison, who was wonderfully eccentric - he built an American version of a gamelan out of hubcaps! Other music choices include Bill Evans with "Peace Piece" and "Timeless" by Oregon. Performer: Beverly Bellows. Performer: William Colvig. Choir: The Hilliard Ensemble. Conductor: Paul Hillier. Performer: Marc Ribot. Performer: Bill Frisell. Performer: Michael Blair. Ensemble: Steve Reich and Musicians. Conductor: Grant Gershon. Choir: Los Angeles Master Chorale.